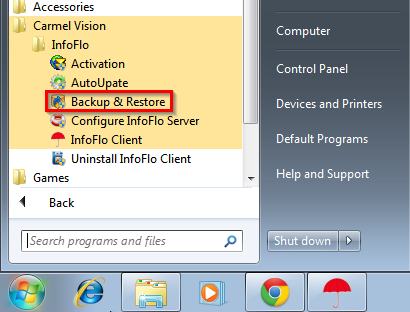 Enter a destination folder for the backup. Alternatively, click 'Browse...' to select a destination folder. 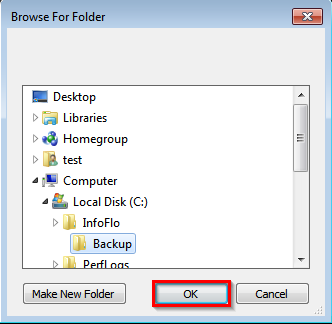 Click 'OK' after a folder has been selected. 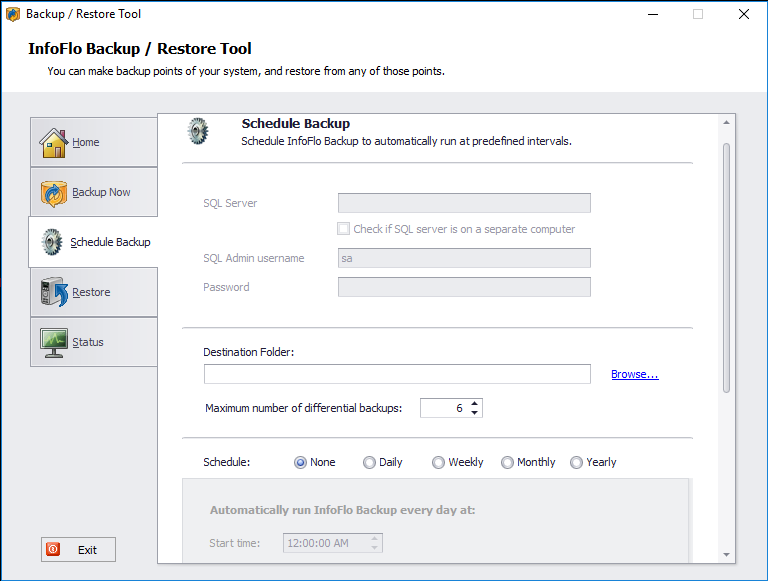 Click 'Start' to begin the backup process. The backup process will now start. Please wait while it finishes. Please note that the InfoFlo Server Service will be stopped during this process. The service will be started upon backup completion. To verify that the backup has completed successfully, click the 'Restore' button. Here you can view a list of backups made on the server.